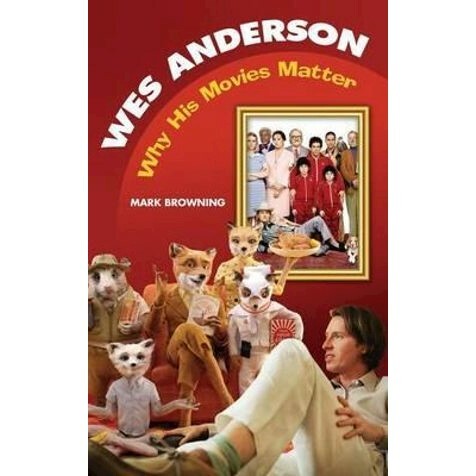 This first full-length consideration of this noted director's work, Wes Anderson: Why His Movies Matter is organized chronologically to encompass all of Anderson's films, from 1996's Bottle Rocket to Rushmore, The Royal Tenenbaums, and the 2009 release, The Fantastic Mr. Fox. The study includes analysis of Anderson's work in commercials, his representation of race and class, his main stylistic influences, and his innovations in the use of frame. Beyond that, author Mark Browning considers whether Anderson's allusions create resonance or simply play a game with an audience keen to spot references. He argues that, in Anderson's films, the style is the substance, and the apparent comedic superficiality is what actually provides depth. Chapters covering the individual films are followed by an examination of Anderson as set designer, author, and stylist. The conclusion explains how his films can be viewed as relevant, exploring links to events and figures in the real world.